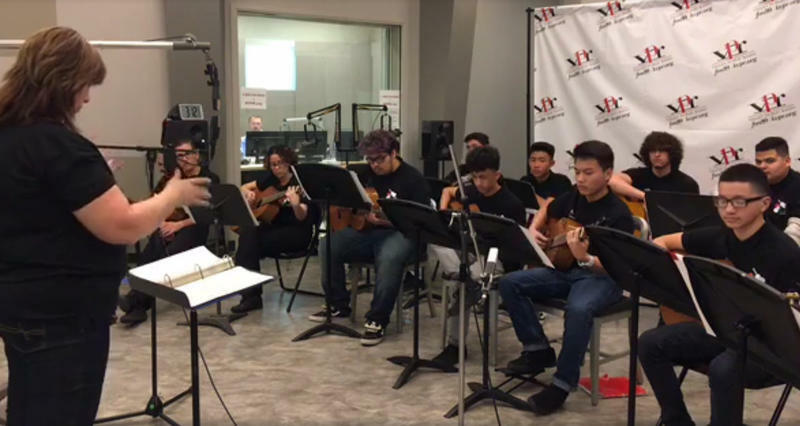 This week on Young Artists Spotlight we feature more music for guitar ensemble, this time with the Lindsay Guitars of Lindsay High School from Tulare County. These talented students have been repeat guests on Young Artists Spotlight, and this year, they performing everything from Hollywood film themes to guitar classics. 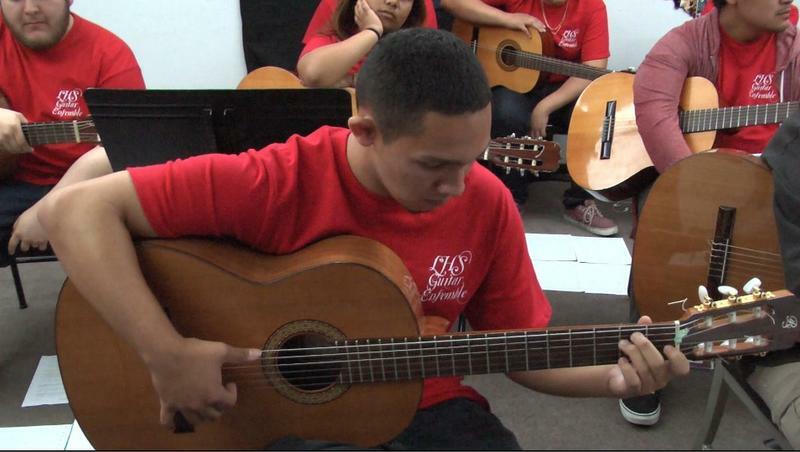 A group of 15 guitarists paid a visit to Young Artist Spotlight this week. The Lindsay High School Guitars, directed by Nancy Wills, is a top-notch group of high school musicians that perform around the region. The group is made up of beginning, intermediate and advanced guitarists. 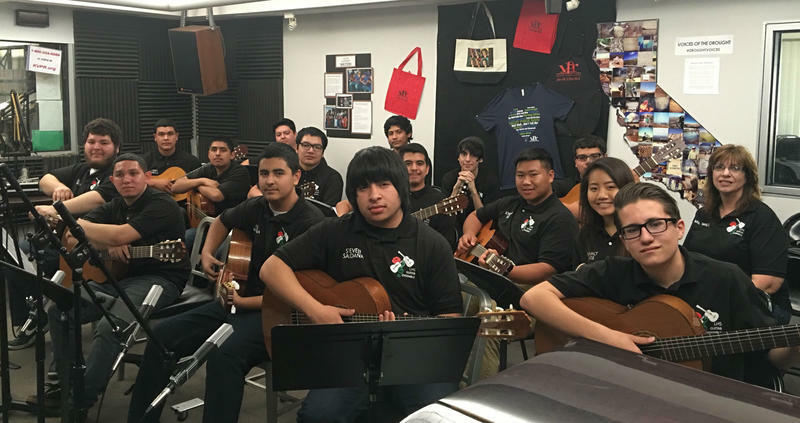 This week we close the 2015 season of Young Artists Spotlight with a performance from the Lindsay Guitars of Lindsay High School in Tulare County. The eight-member honor group from the Lindsay High School Guitars paid a return visit to Young Artists Spotlight this year. The performance included solos from graduating seniors Salvador Madrigal and Joseph Ochoa, not to mention a surprise cello solo from Kathryne Wills, the youngest member of the Tulare County Symphony and the daughter of Lindsay High School teacher Nancy Wills, who founded the Lindsay Guitars in 1999 and leads the group to this day.